A pledge, backed by the UN, to provide access to safe and affordable drinking water to everyone globally by 2030 will need $40bn (€35bn) to deliver, and relies on private sector investment, according to Dublin-based KBI Global Investors. Today is World Water Day, a reminder that many people around the planet cannot take clean water for granted. Strategies targeting water infrastructure, clean technology and even just cutting wastage of agricultural produce can all help meet the UN Sustainable Development Target for clean water, and at the same time generate long-term returns for investors, according to Colm O’Connor, senior portfolio manager on the KBIGI Global Sustainable Infrastructure Strategy. In Ireland the idea of investing in water is controversial. 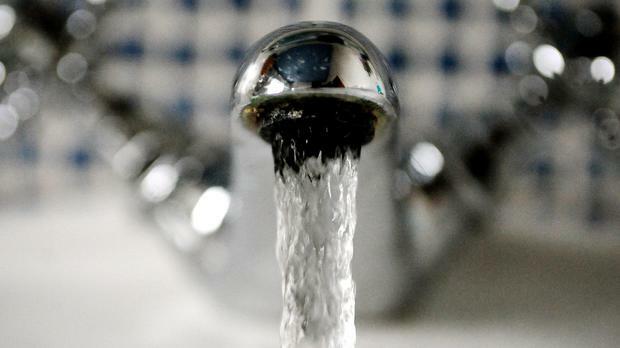 The massive political backlash against setting up Irish Water in part reflected fears it was a step towards privatisation. However, investment is needed. Infrastructure across the West is creaking. In developing nations the lack of clean water, including due to competition from agriculture and industry, can be a life and death issue. Mr O’Connor said demand means water is becoming an increasingly mainstream investment. “The world’s largest public pension plans have been investing in infrastructure for more than a decade, but it is only over the past few years that we have seen broader acceptance and integration of infrastructure into institutional portfolios,” he said. In developed economies that has traditionally included investing in privatisation of public infrastructure – common in the UK – and lending project finance to capital intensive infrastructure projects. 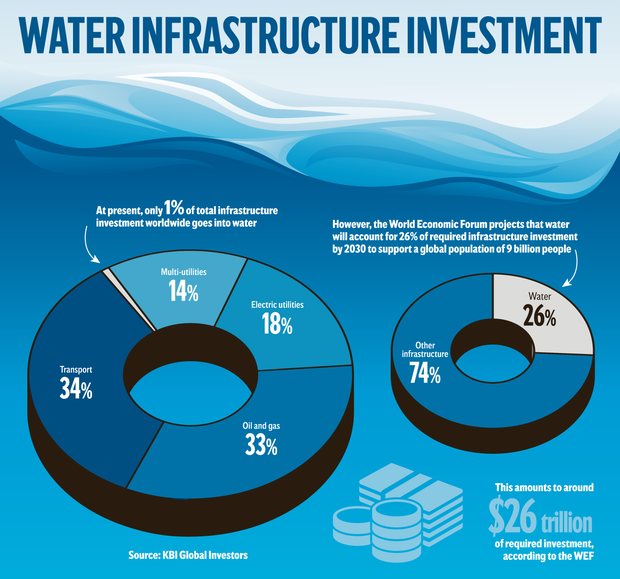 In emerging markets investment in water utilities has the additional potential for high growth. Most infrastructure investors gravitate towards private market exposure, with listed managers and indices significantly under-exposed to these critical areas. That, according to O’Connor, means they are missing out on some excellent investment opportunities. But, investors targeting water as an opportunity can also focus on technologies that help reduce use or reuse supplies. Technologies include smart meters, while France-based Veolia Water is involved in contracted wastewater services on a global basis. The scale of water used in agriculture, especially in countries such as Brazil and India, and the high levels of waste – up to 40pc of food produced for export in Brazil never makes it to a port – means companies that significantly improve the efficiency of supply chains can have an indirect but large impact on water demand. Floyd – Are you able to pair the images?